Chrome is Google's Web web browser. Routine updates normally keep it compatible with websites, however often the intricacies of Facebook run into issues with newer browsers. Google workers have actually dealt with the problem with some troubleshooting recommendations. Eventually, if you're having problem with a single website with one internet browser, opening it in a various internet browser can solve the issue. 1. Open Facebook in Chrome's "Incognito mode." Press "Ctrl-+ Shift+ N" in Windows, or "Command+ Shift+ N" in Apple, to open an incognito window. Enter your login details as usual, and if the login works the problem is with a plug-in or Chrome's cache. 2. Disable any plug-ins that you have actually added to Chrome. Some plug-ins have an icon to the right of the URL bar. Click the wrench on the far right, then "Tools," then "Extensions" to see the extensions and plug-ins. Some extensions may prevent Facebook from working properly, so disable all of them and add them in one by one to see which one is the problem. 3. Clear the cache in Chrome by clicking "Chrome," then "Clear browsing information." Examine "Empty the cache" and "Delete cookies," then click "Erase browsing history." 4. Close Chrome and open it again, then log into Facebook. Check for updates to Google Chrome regularly to keep it updated. 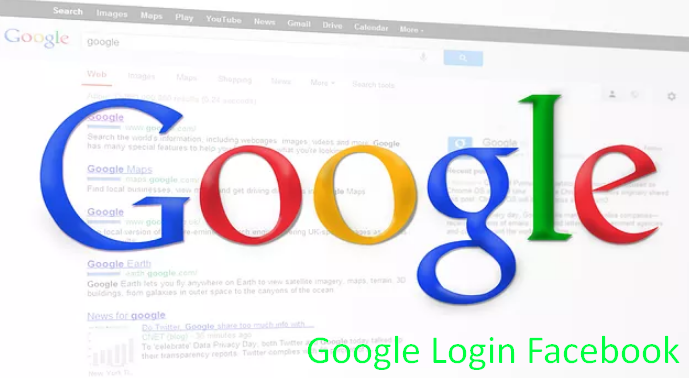 And one more thing please don’t forget to share this awesome trick to use the Facebook Login Homepage Google with your friends.